Taking magnification to the max, DCM searches out the best macro lenses. For the little things in life, you can’t beat a good macro lens. Unlike zoom lenses that carry a ‘macro’ badge, most macro prime lenses deliver full 1.0x or 1:1 magnification at their closest focus distance. This enables you to fill the camera’s whole image sensor with something the size of a postage stamp, gaining enormous magnification when you view the resulting shots on screen or in print. Indeed, with APS-C or Micro Four Thirds crop-sensor cameras, you’ll get an even greater ‘effective’ magnification ratio between 1.5x and 2.0x, compared with a full-frame body. 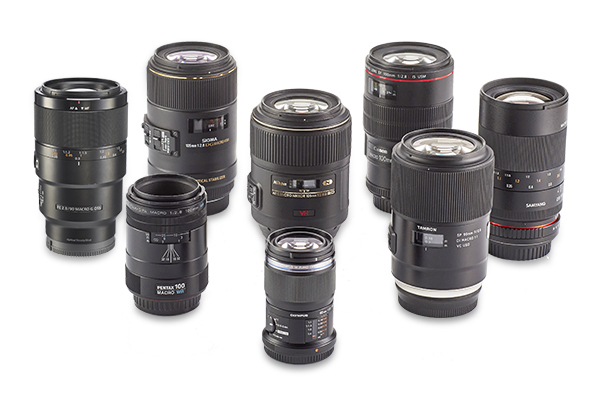 Many manufacturers make APS-C format as well as full-frame compatible macro lenses. However, they often have a relatively short focal length, which also results in a short minimum focus distance. In some cases, the ‘working distance’ between the end of the lens and the subject you’re shooting can be as little as 3cm. This can be quite impractical, especially when you’re shooting under ambient light, as the lens is likely to cast a shadow over the subject. For this group test, we’ve selected lenses that give a more comfortable working distance for macro shooting. 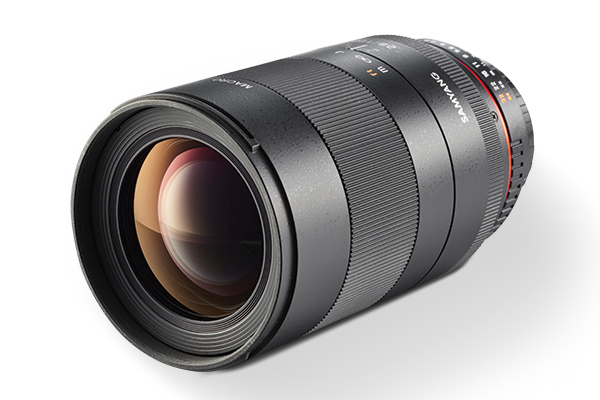 Canon’s latest 100mm lens is from the upmarket L-series stable and features an optical stabiliser that was developed specially for this lens. It’s a ‘hybrid’ system, able to correct X-Y shift as well as the more usual vibration. This makes stabilisation much more effective in close-up photography, although you’re still likely to need a tripod for full macro shooting. 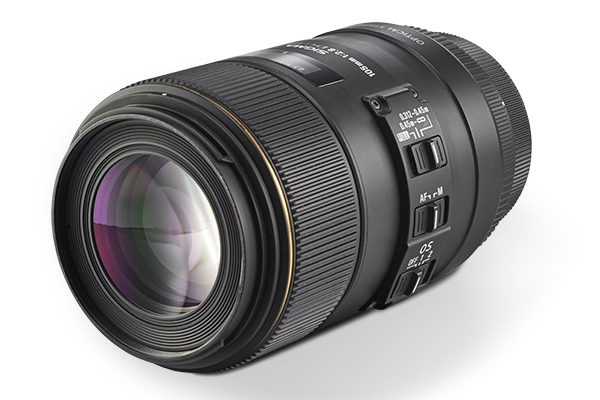 Tamron has since developed a competing hybrid stabiliser for its latest 90mm macro lens, also on test. Well-built and feature-rich, the Canon has ring-type ultrasonic autofocus and a three-position autofocus limiter switch that can lock out the short or long end of the range. 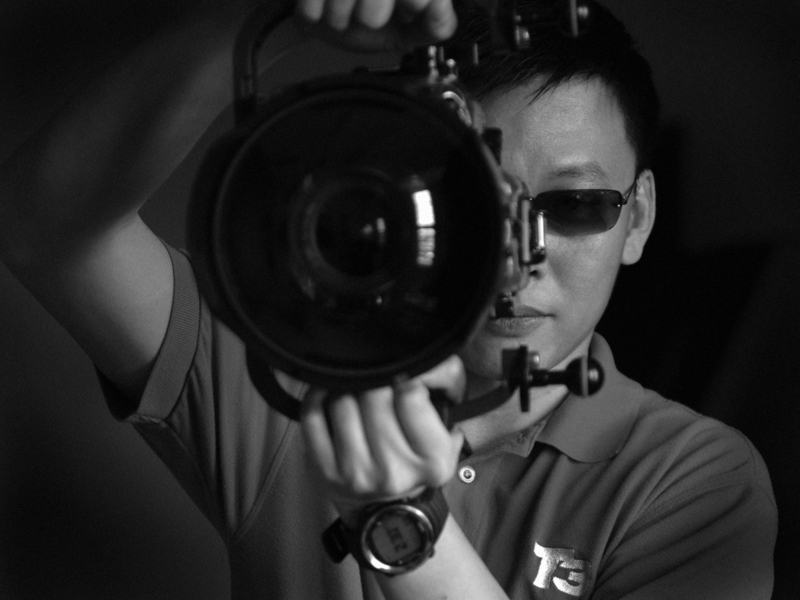 The lens also has weather seals and a UD (Ultra-low Dispersion) element. Sharpness and contrast are good, even when shooting wide-open at f/2.8. More importantly, image quality remains impressive right down to f/22. Autofocus is fast, accurate and quiet but, again, for macro shooting manual focusing is usually preferred, so the smoothly operating focus ring is a bonus. Current Nikon Micro lenses that give 1.0x magnification include 40mm and 85mm lenses for DX (APS-C) cameras, and 60mm and 105mm lenses in the FX (full-frame) camp. This 105mm lens is the pick of the crop, with the best handling and build quality, plus the most comfortable working distance. Upmarket features include an ED (Extra-low Dispersion) element, Nano Crystal coating, fast ring-type ultrasonic autofocus and a weather-sealed mounting plate. There’s an autofocus range limiter switch but it’s useless for close-up shooting, as it can only lock out the short end of the range. Nikon’s standard VR system is effective for general shooting, similar to that of the Sigma and Sony lenses, but lags behind the close-up performance of the hybrid stabilisers in the Canon and Tamron. Image quality is good overall, with impressive sharpness across the whole frame, but colour fringing is a little disappointing towards the corners. Overall, it’s a nice lens, although not particularly good value. 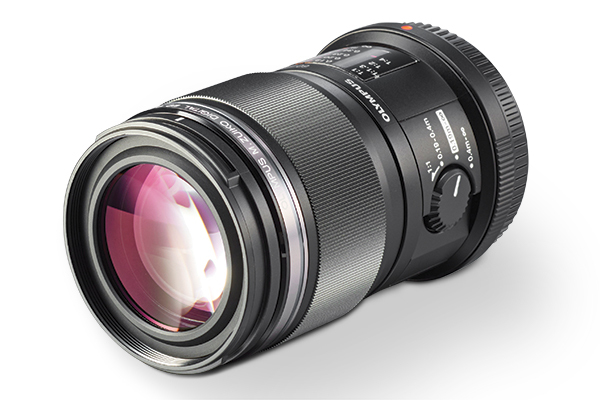 The 2.0x focal length multiplier, or crop factor, of the Micro Four Thirds system, is good news for close-up photography. Compared with a full-frame camera, you’ll get double the effective magnification from this lens, in a remarkably compact and light build. 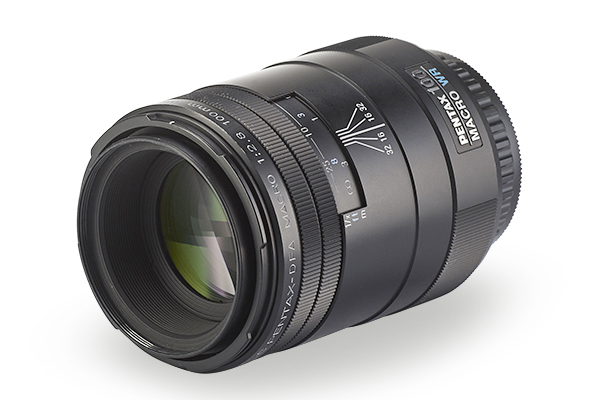 Even so, the excellent quality of the weather-sealed construction is a credit to Olympus’s line-up of Premium lenses. Stepping motor autofocus systems are renowned for their virtually silent operation, but rarely feature a focus distance scale. This lens’s smart focus distance/magnification indicator is a bonus. Due to its relatively short focal length, the minimum focus distance is just 20cm, compared with around 30cm for other lenses on test. At maximum magnification, the working distance between lens and subject is entirely usable, at about 10cm. Image quality is very good, and the electronically coupled ‘fly-by-wire’ focus ring operates smoothly for macro focusing. This is the best MFT macro lens on the market. Unlike other lenses in this group, the Pentax lacks an internal focus system. It, therefore, extends in physical length as you decrease the focus distance towards its minimum setting. On the plus side, it’s only two-thirds of the length of most 100mm macro lenses at its infinity focus setting, and only a millimetre longer than the Olympus 60mm MFT lens. As is typical of high-end Pentax lenses, this model is well-built. It features an aluminium outer barrel, a comprehensive set of weather seals and a protective coating on its front element to repel muck and moisture. However, the finery doesn’t stretch to an internal autofocus motor. Instead, the lens relies on a screw-drive from the host camera body. Although quite small, the manual focus ring operates with precision, enabling very fine adjustments in close-up shooting. Autofocus is pretty quick but very noisy compared with all of the other lenses on test. Image quality is good, but corner sharpness is a bit lacking using Pentax’s full-frame rather than APS-C bodies. People often say that manual focusing is best for macro shooting, but this Samyang lens takes things to extremes. As well as having no autofocus facility, it also has a purely manual aperture adjustment in most of its mount options; only the Nikon fit enables aperture adjustment from the camera body. The upshot is that you have to reduce the aperture manually, and at the narrow apertures generally preferred for macro photography, the viewfinder image is quite dark. Accurate focusing tends to be easier in Live View mode. The focus ring has a particularly smooth operation and a long travel that enables very precise adjustments. The high-spec optical path includes both ED (Extra-low Dispersion) and HR (High Refractive) elements. The Samyang isn’t the outright sharpest tool on test but image quality is very good overall. It beats some of the more expensive glass in the group in control over colour fringing and distortion, making it a good-value buy if manual focus is your thing. 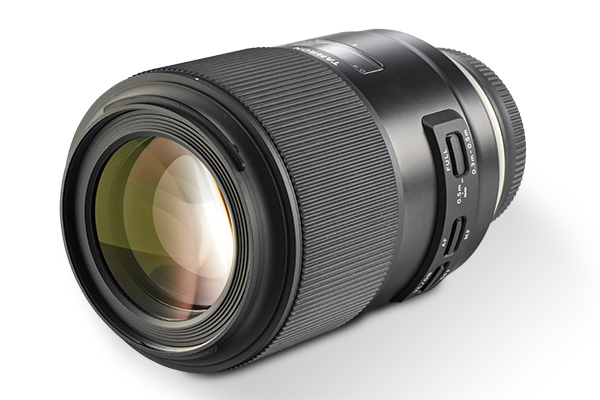 This Sigma macro lens sports a wealth of high-end features. Headline attractions include ring-type ultrasonic autofocus with a three-position range limiter switch, optical stabilisation with dual static and panning modes, and two SLD (Special Low Dispersion) optical elements. The lens comes complete with a soft case, a hood, and even a hood converter to optimise efficiency with APS-C format rather than full-frame cameras. The construction feels solid and robust, and the manual focus ring operates with smooth precision. The Sigma works well as a fast, short telephoto for general shooting as well as for close-ups, but unlike some lenses on test, it lacks any weather-seals. Real-world performance proved better than the lab results suggest. 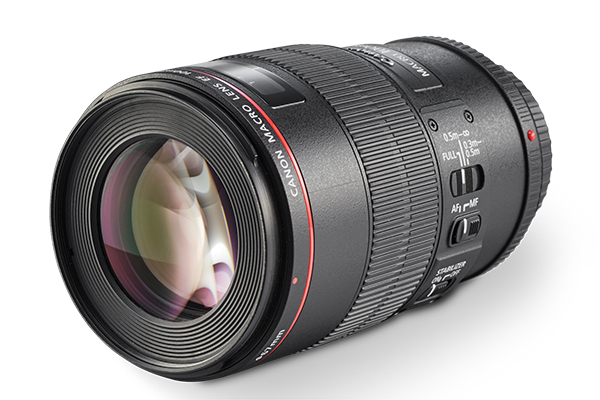 Sharpness is impressive, from long-distance focus settings to full-magnification close-ups. Autofocus is fast and accurate. The effectiveness of stabilisation is similar to the Nikon and Sony lenses, losing out to the Canon and Tamron lenses for close-ups. 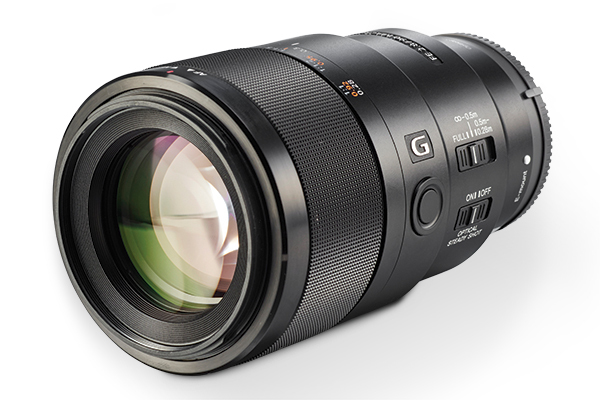 Sony has ramped up the quality in its G-series and G Master lenses, but they don’t come cheap. Indeed, this 90mm macro lens is the most expensive in the group. Compatible with full-frame and APS-C format E-mount cameras, it’s certainly not short on high-tech features. A Dual DDSSM (Direct Drive Super Sonic wave Motor) autofocus system delivers rapid, accurate and near-silent performance. It’s also the first Alpha macro lens to incorporate image stabilisation. The optical path includes aspherical, ED and Super ED elements in a well-engineered, weather-sealed metal casing. Build quality is excellent. Handling benefits from a super-smooth and precise focus ring, with an electronic fly-by-wire coupling. Sony says that FE 90mm macro lenses are individually calibrated to minimise spherical aberration, therefore maximising the quality of bokeh. Defocused areas in images are certainly smooth, but there’s impressive sharpness on tap. It’s a lovely lens, but pricey. 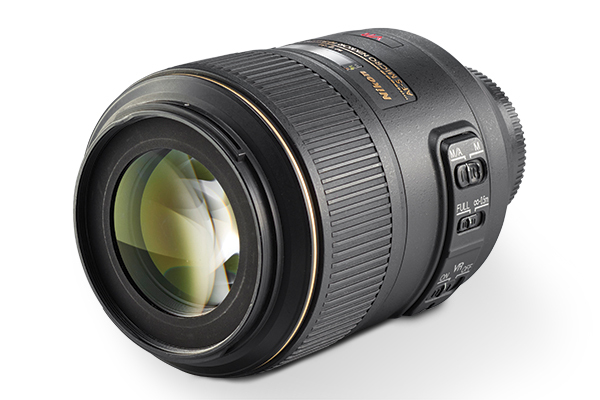 Tamron has launched some fabulous prime lenses and G2 (Generation 2) zooms recently. This one doesn’t bear the G2 badge, but is still a new generation of the 90mm VC USD lens, distinguishable by its silver band around the rear, instead of a gold ring around the middle. The new version has upgraded optics, doubling up on XLD (eXtra Low Dispersion) elements, while also retaining a single LD element, and adding dual nano-structure and conventional coatings. The weather-sealed build feels robust and includes a keep-clean fluorine coating on the front element. 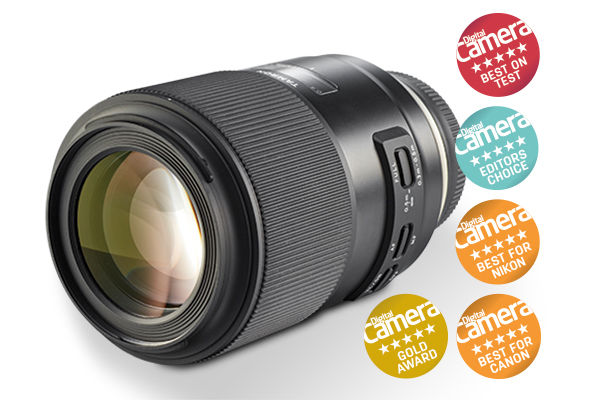 Like the Canon stabilised lenses on test, this Tamron features a ‘hybrid’ image stabiliser, which counteracts the effects of X-Y shift as well as vibration. The results of our lab test are impressive and, in real-world shooting at very short focus distances, the Tamron proved spectacular at resolving ultra-fine detail. The stabiliser works well for close-ups but, as with the Canon lens, you’re still better off with a tripod for full macro shooting. 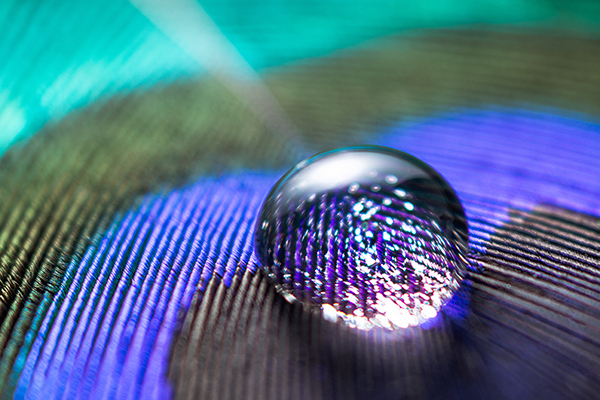 The Tamron SP 90mm F/2.8 Di VC USD Macro reveals astonishing detail. Tamron’s new-generation 90mm macro lens is beautifully built, packed full of top-end features, and delivers sublime results. It matches or beats the overall quality and performance of ‘own brand’ lenses that are far more expensive, making it a bargain to boot. We prefer the Tamron for shooting on both full-frame and APS-C format Canon and Nikon DSLRs, compared with the camera manufacturers’ own lenses. And if you’re on a tight budget, the Sigma 105mm is an excellent lens that’s unbeatable value, especially in the UK and Europe. Sony’s 90mm macro is another massively impressive lens, but it’s very expensive. The value of its optical stabiliser is questionable too, with recent Sony E-mount bodies adding five-axis sensor-shift stabilisation. The Pentax lens has a distinctly retro feel to it but is well-engineered and delivers good image quality. For Micro Four Thirds, the Olympus 60mm is a standout winner.